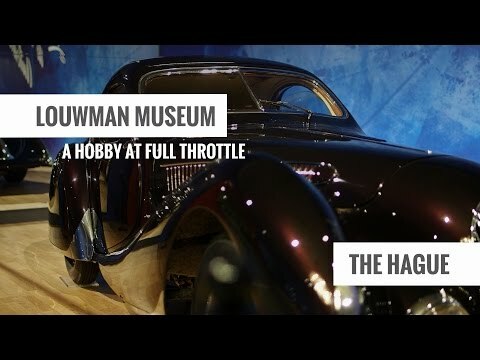 One of the world’s largest and most famous collections of historic automobiles is shown in the Louwman Museum in The Hague. The museum building, which was designed by American architect Michael Graves, not only houses over 250 historic cars, but is also home to the world’s largest collection of automotive art. The museum contains the private collection of Dutch car importer Evert Louwman, which experts have described as unique. The museum aims to provide the clearest and most fascinating illustration possible of the development of the automobile since 1886, when the very first car was built. Pioneering automobiles from the late nineteenth century sit alongside racing cars, sports cars and luxury limousines. The museum contains more than just cars. The collection of automotive art, which includes paintings, sculptures and posters, forms an additional and unique attraction. This collection of automotive art, the largest in the world, has never before been on public display and is being exhibited in a specially-designed room. The striking museum building has three floors and over 10,000 m2 of exhibition space. During your visit to the Louwman Museum you can enjoy a delicious lunch, served in the restaurant located on the ground floor on Museum Square. The square offers a unique atmosphere of the 1920s. The house fronts are original items, most of them from houses from The Hague. The restaurant is run by renowned caterer House of Lords. The Louwman Museum is open from Tuesday to Sunday between 10.00 hrs and 17.00 hrs. Closed on Mondays. During public holidays other opening hours than usual may apply. Check the Louwman website for an overview of the opening hours during public holidays. The Louwman Museum has a parking garage with a capacity of 170 parking spots. The costs are €6,00 per car per day and use is at your own risk. Disabled visitors can park free of charge at the main entrance of the museum. From the parking garage there is no entrance for disables visitors to the museum, please use the main entrance. Vehicles older than 40 years can park free of charge on the front square of the museum. The Louwman Museum is also reachable by bus. The name of the bus stop is Louwman Museum, buses 90, 385 and 386 stop here. The bus stop is in front of the Louwman Museum.